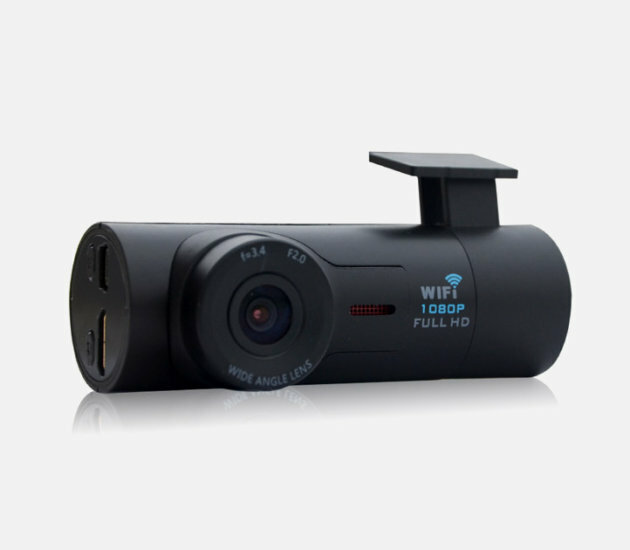 VDR-1HD Wi-Fi Dash Camera features a 160” wide angle lens capturing your complete field of view in razor sharp full high definition 1080p quality. The intelligent dash camera simultaneously records your speed and location along with your dash camera footage. Using the linkineyes A2 Lite App and built in in Wi-Fi you can connect your Dash Camera to your iOS or Android smart device to transfer and view your recorded video.